The Stated Truth » The Media Has A Definite Favoritism … The Big Question Is Why? Here is an interesting poll…Hmm Inquiring minds want to know, why is it so hard to just report the news as it really is? 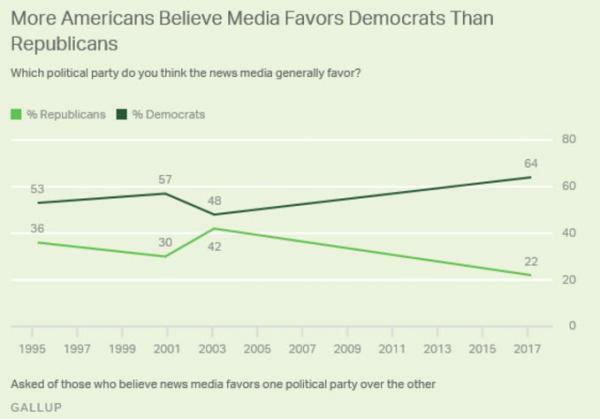 Almost two-thirds (64%) of those who believe the media favors a political party say it is the Democratic Party. Only about a third as many (22%) believe the media favors Republicans.